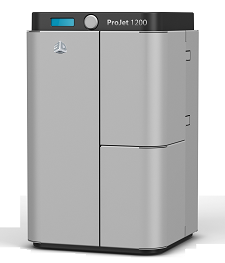 We are pleased to announce the availability of Geomagic Print version 1.1 for the ProJet 1200. There are several improvements including better accuracy, checking for updates, automatic firmware installation and general bug fixes. Updated software and documents are now available on 3DS Central. Please visit and update your system now. 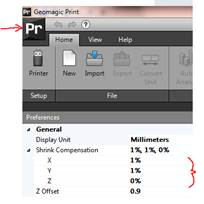 Please note, for users updating existing Geomagic Print 1.0 the default shrink compensation values have to be modified manually. These are found under the preferences menu on the home (Pr) key. Full information is in the release notes. For new installations the default values will be installed correctly. For dental applications we have a new burnout and casting / pressing guide from Whipmix, a company that specializes in dental investments. The guide is posted at 3DS Central.